A cemetery intended for 2,500 graves and 180 children’s graves is not a straightforward commission. 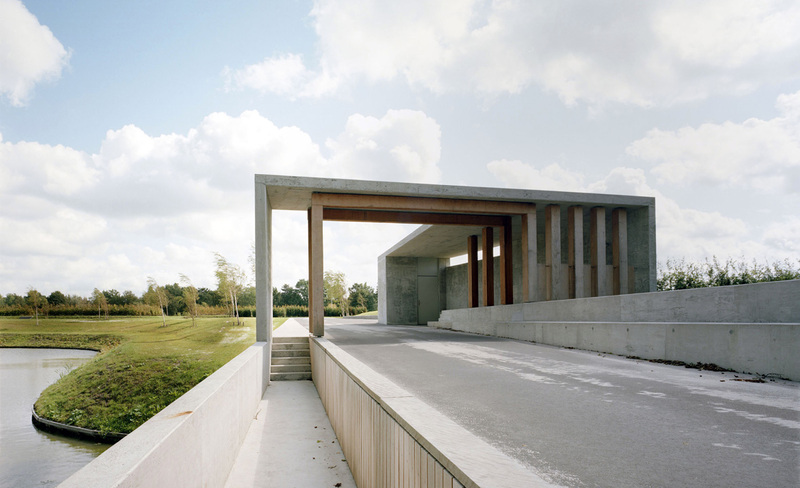 In this location the cemetery forms a green recreational structure within the municipality. 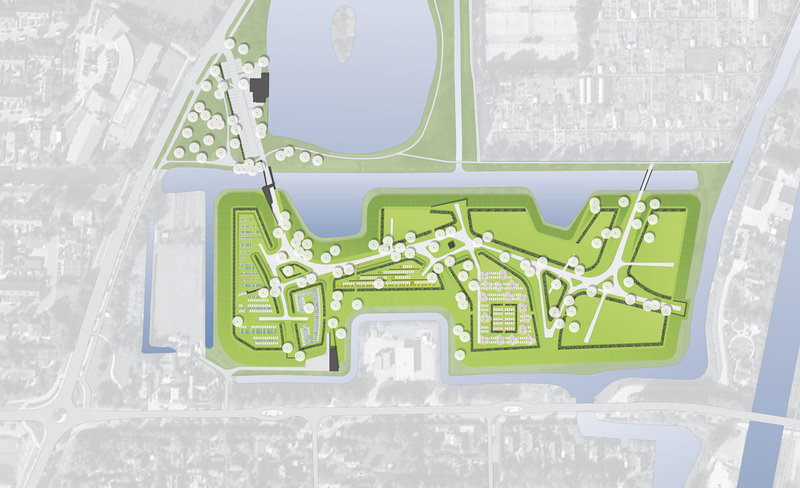 The task was to ensure a firm consolidation of the cemetery to the surrounding landscape. 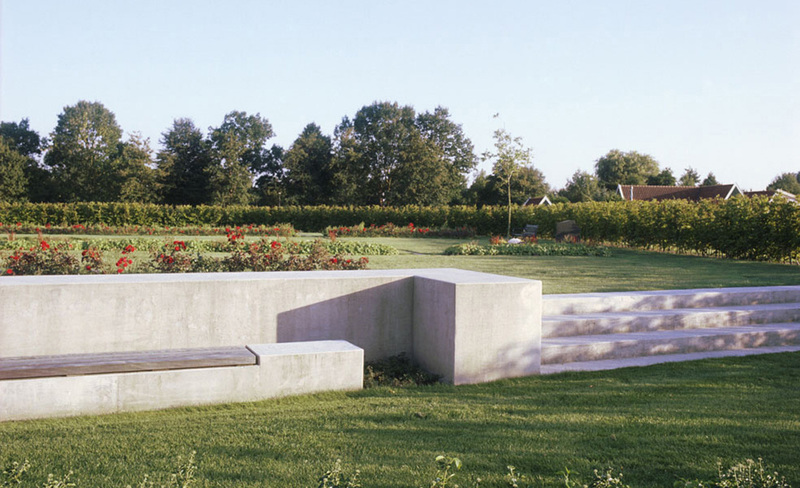 For the new Oostervaart cemetery in Langedijk we decided to divide the cemetery into small, enclosed outdoor ‘grave chambers’. Connections to the ‘grave chambers’ were made by means of a public park network. 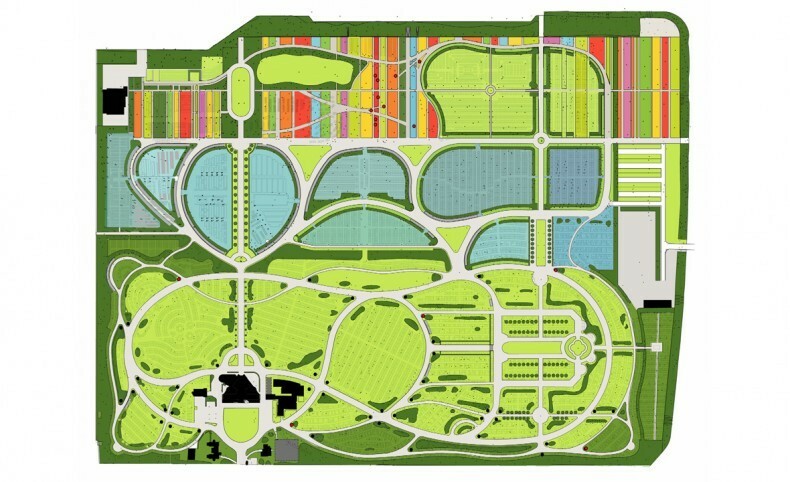 Within this network, sightlines provide the relationships with the surrounding area; and a connection to the park-like environs. For technical reasons, the cemetery will be laid out higher than the surrounding area. Graves will be dug in three layers and, depending on the ground water level, each ‘grave chamber’ will be given its own elevation. 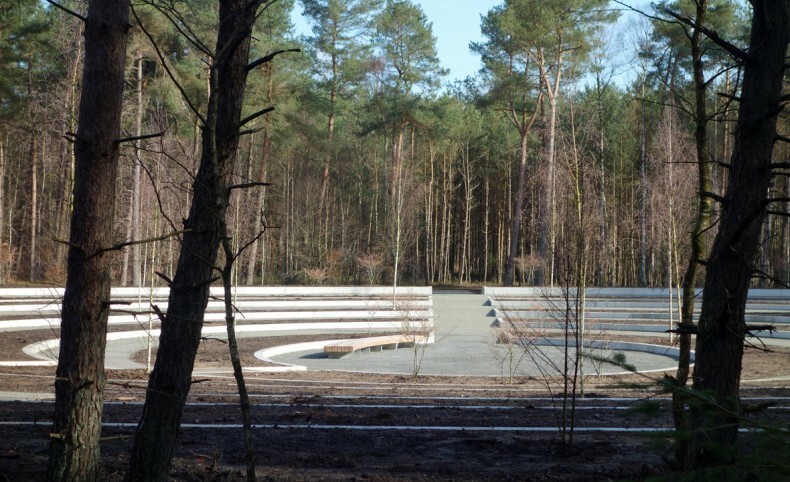 The total number of graves will be divided into seven ‘grave chambers’. 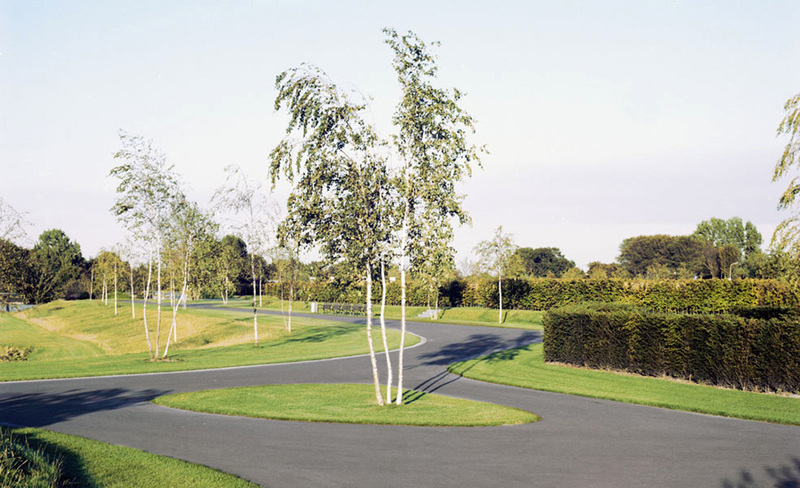 These will be surrounded by high hedges, creating intimate and enclosed spaces. Every ‘grave chamber’ will have its own atmosphere, with an appropriate design. The planting, trees and manner of placing the gravestone are different for each chamber. 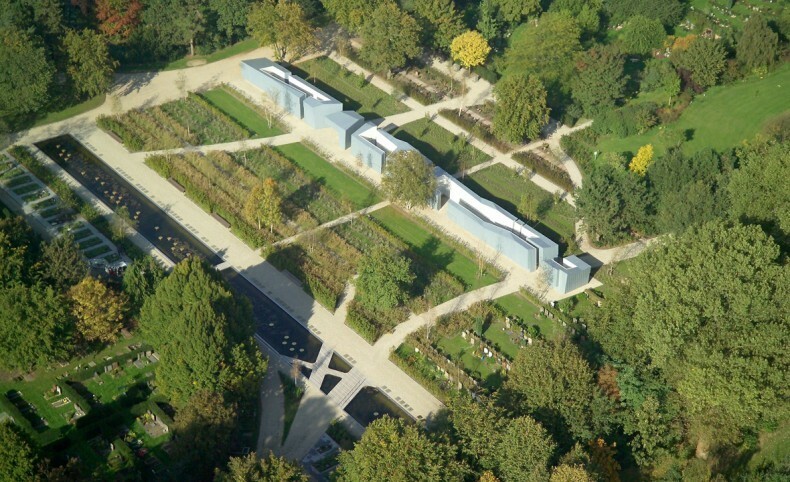 The park network forms the connection between the cemetery and its surroundings, and in between the different ‘grave chambers’. The entrances to the cemetery are linked with this network, so that a direct route is created. This network is created with the use of lawns, raised mounds and widely spread trees that lie lower than the ‘grave chambers’. 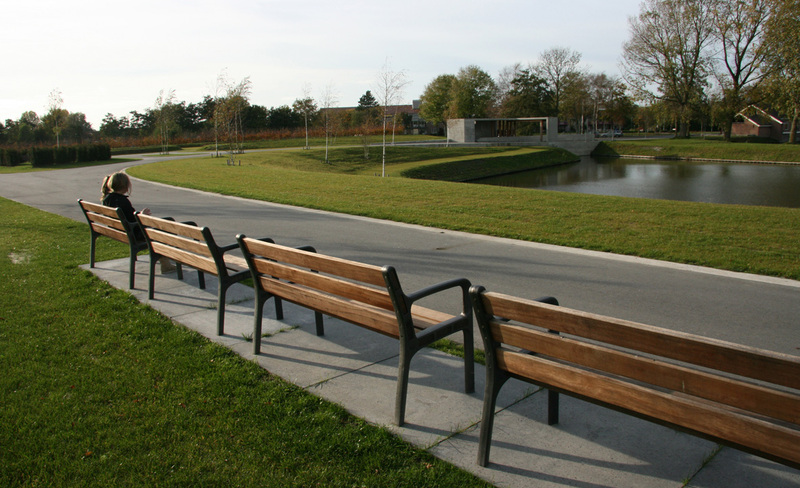 The parks connecting network becomes a separate element of the cemetery. 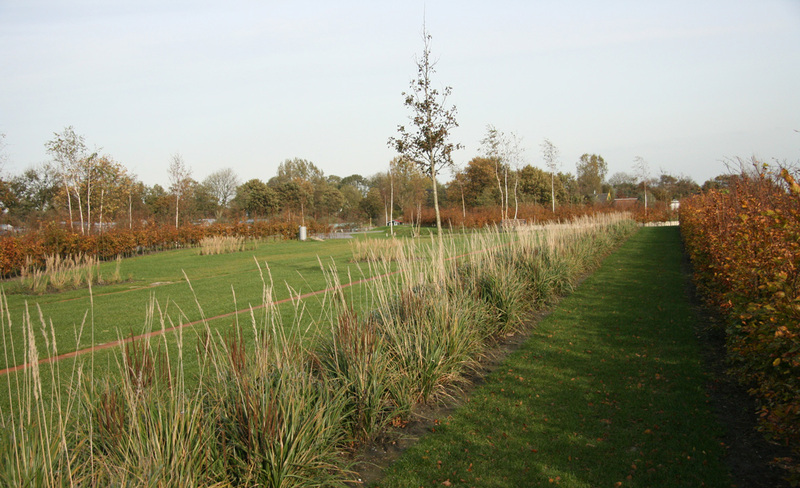 From the park network, sightlines create new relationships with the surrounding area. 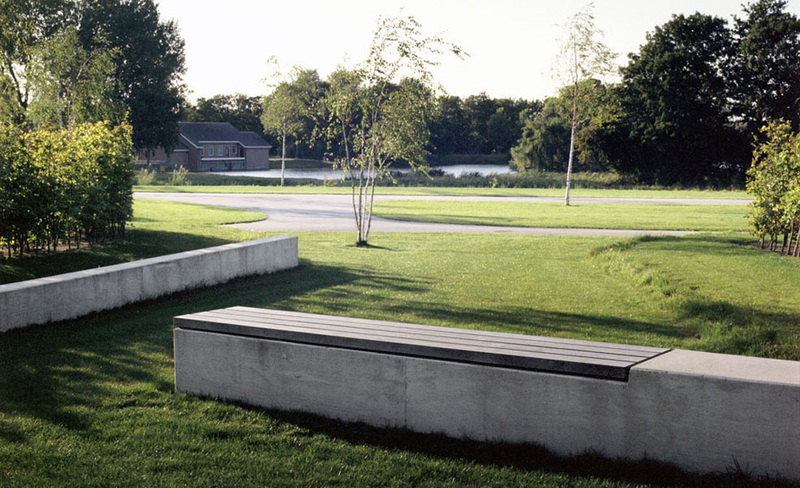 Where the landscape necessitates an opening, the system response by opening out into its ‘environs’ adding special elements like: stairways, viewpoints and balconies.